Today the eLearning team, in partnership with the Brighton Business School, launched the Learning Analytics pilot. The pilot consists of three strands and today the first of those stands began, this strand is working with 4 level 4 Business School seminar groups. 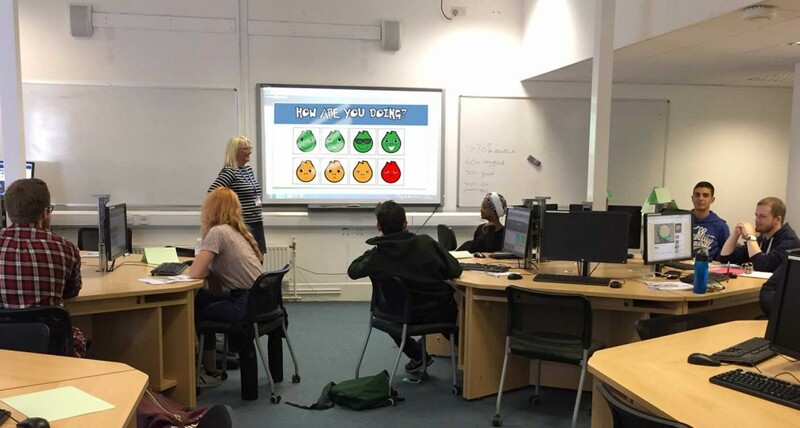 We will be recording student attendance of seminars, engagement with their online learning and assessment results and presenting the results back to the students to help them understand how they measure against their peers. 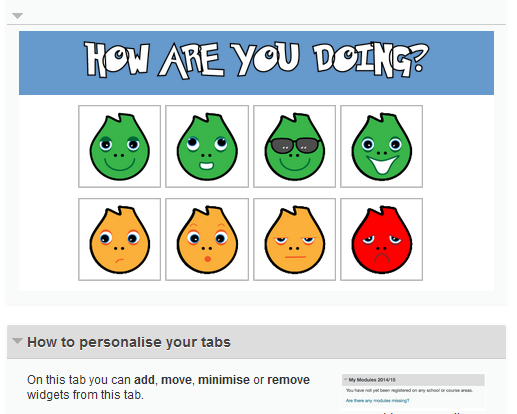 During the first few weeks, whilst there’s little data to display,the students will have access to a ‘widget’ on their studentcental dashboard that will enable them to tell us how they’re doing using emojis. The widget is designed to measure the student’s ‘level of happiness’ and to help them feel supported during their first weeks of study. Students choose how happy they are and can then send us more details if they choose to. If they choose the sad or grumpy option the details will be forwarded to both their tutor and the SSGT for the school to enable an appropriate intervention. As data capture increases the students will be presented with a dashboard displaying their attendance, online engagement as well as assessment measured against their peers. The students involved in the pilot will meet with the eLearning team on a regular basis throughout this coming year to feedback to the team, help us shape future developments and influence change. Previous Post What have the eLearning Team been up to this summer?